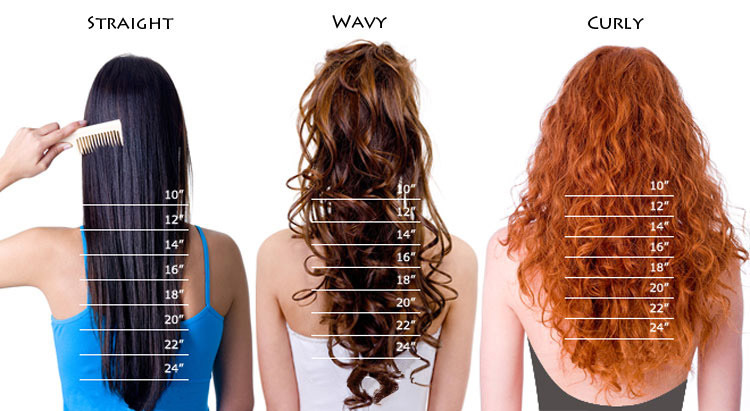 (1) Bright colors can not hold the curls as well as dark colors, but you can wand curl your hair. 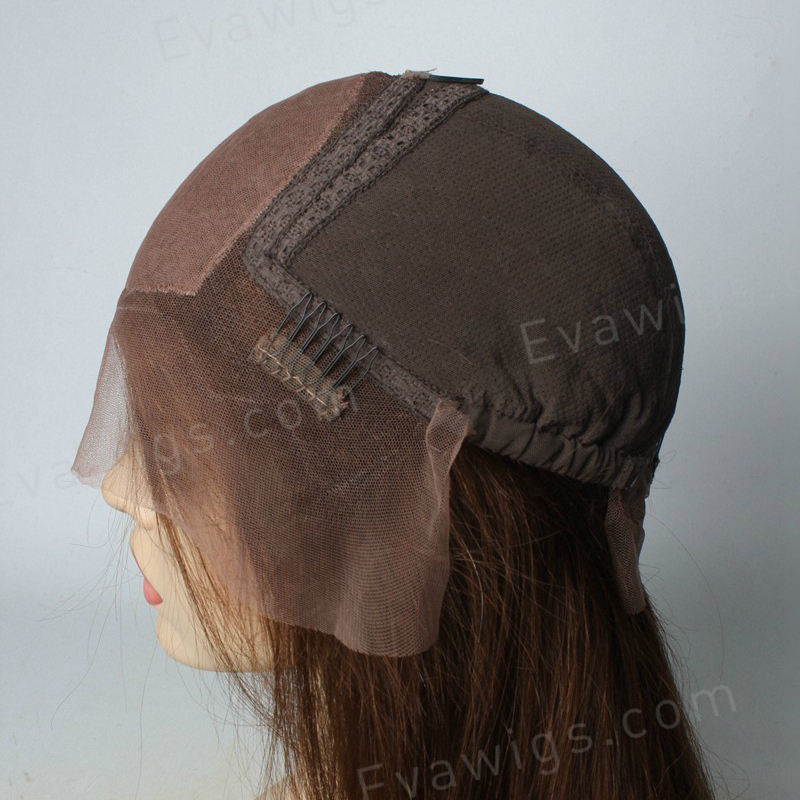 wigs are hand made, and some may with different cap constructions. used hair is Indian hair, Malaysian hair and Brazilian hair. 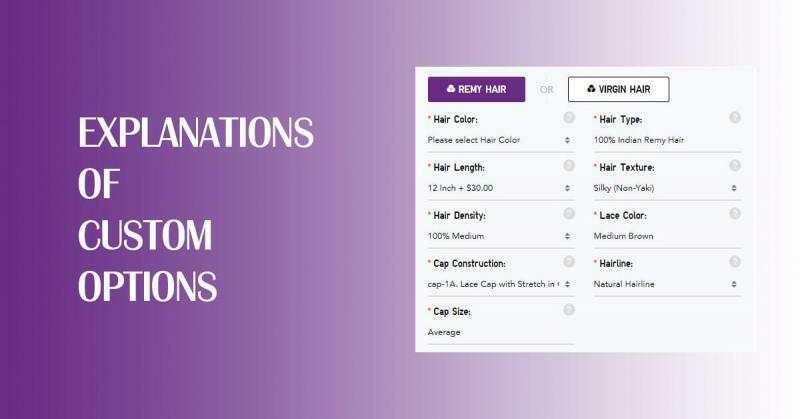 includes dyes, perms, bleaching, and other popular processes. strands to mimic Africa-American people relaxed hair. Baby hairs are hand tied around the hairline, normally they're short, thin and unruly, to make them looks like our own hair. lace. 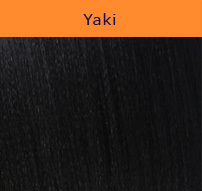 #1-jet black hair is not available for bleaching knots. 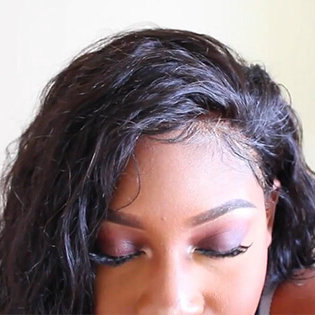 Single knots at hairline & double knots elsewhere for all wigs. 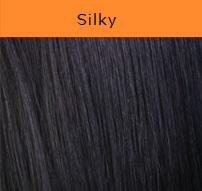 look at the color of your scalp to determine your lace color. 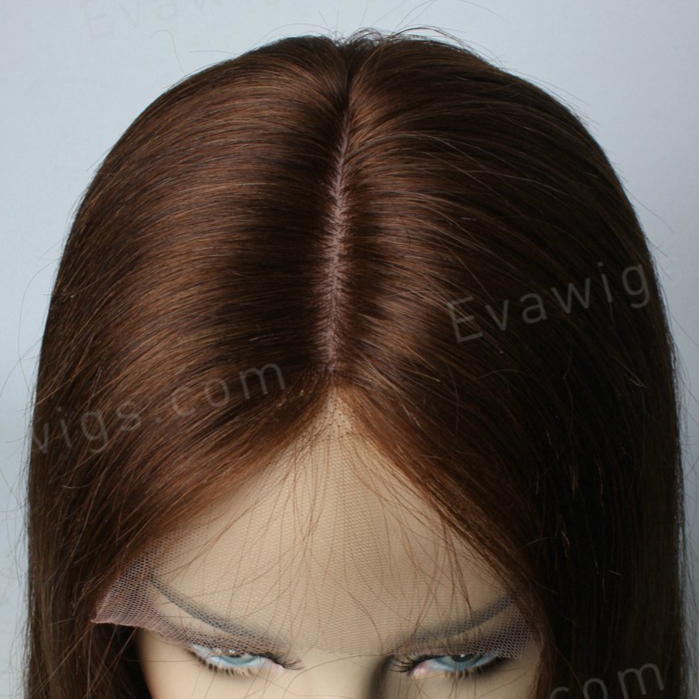 Middle Brown: For Light Beige or Beige scalp tones. invisible by concealing the hair knots instead of the bleached knots. The color of the silk top is the same as the lace color you choose. What does a silk top cap construction look like? The picture below shows how the silk top looks outside. And the picture below shows what the silk top looks inside. We now provide three different hairlines. 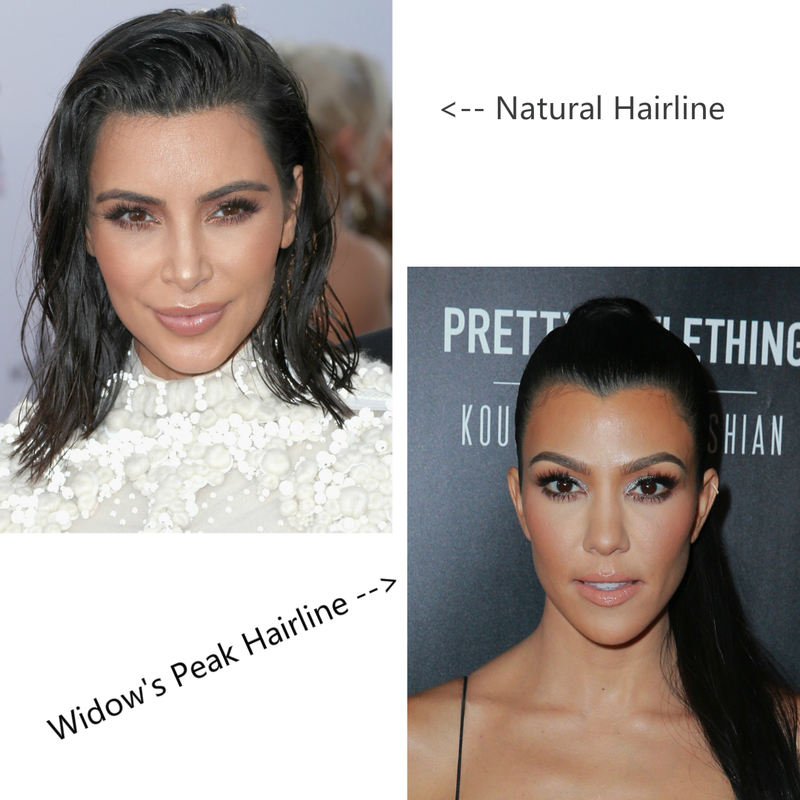 Widow's Peak, Nature Hairline, and the very recently updated Pre-plucked Hairline. Pre-plucked hairline: pre-plucked hairline often looks as natural as our own hairline.